Our last puzzle proved a bit of a thronker, with only one real solution proffered by the mighty Hammer faithful. Nc6! Qc7 2. Re7!! 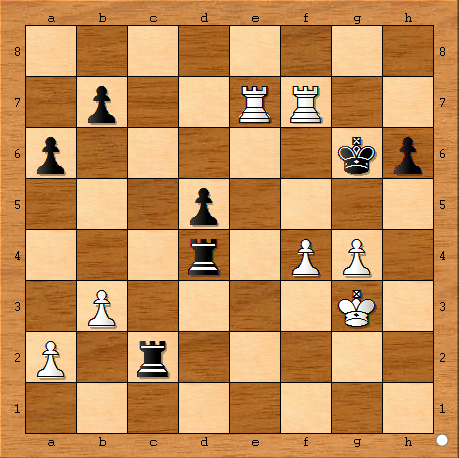 – Winning the Queen for Rook & Bishop, with an easily won position. This was from a game in 1954, Bykova v Kogan, at a Moscow-Ukraine match. Taken from The Soviet School of Chess, by Kotov and Yudovich, which apparently does actually contain some decent chess, amongst all the Soviet propaganda! East-side!!! Just noticed the king escapes to e5 in my last effort.